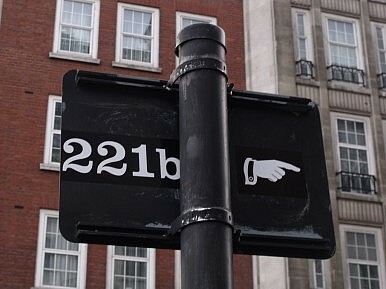 Does a Kazakh Own Sherlock Holmes’ Apartment? First, start here in Crossroads Asia with Paolo Sorbello’s coverage of the Global Witness investigation into the murky money trail between the former head of Kazakhstan’s secret police, Rakhat Aliyev, and a swath of properties in London, including fictional detective Sherlock Holmes’ address, (if it was real, which it never was) 221b Baker Street. Aliyev died in an Austrian prison in February–apparently by hanging himself–while awaiting trial on charges that he orchestrated the murder of two bankers. With his death, Sorbello writes, the indirect ownership of a “£137 million ($212 million) commercial and residential block spanning from 215 to 237 Baker Street, owned by anonymous companies registered in the British Virgin Islands” has become even more opaque. Global Witness believes the money trail leads to someone close to Aliyev. Farangis Najibullah and Ganjinai Ganj at RFE/RL report on the rise of marriages via Skype in Tajikistan. For a country which sends a great many of its young men abroad for work–mostly to Russia, which hosts an estimated 1.2 million Tajik migrant workers–the use of technology for such a purpose is an adaptation to circumstance. As the writers note, Tajikistan is a socially conservative, predominantly Muslim country. Shahnoza Idrisova’s boyfriend of ten years got a five-year contract job in Tunisia–they opted for a Skype marriage so Idrisova could join him rather than wait five years. The Skype marriages, however, are not official in the eyes of the state, which also does not recognize the nikah–an Islamic marriage ceremony–without an accompanying civil registration. One last story: I’ve written on Kazakhstan’s mysterious sleeping sickness before, but Sarah A. Topol traveled there recently and her longform from-the-ground story for Buzzfeed, accompanied by pictures by Max Avdeev, is worth your time. She talks to the villagers, who make what has become a bit of an eccentric tale from abroad–appearing in a number of Western media outlets as curiosity piece–a tangible and disturbing story.